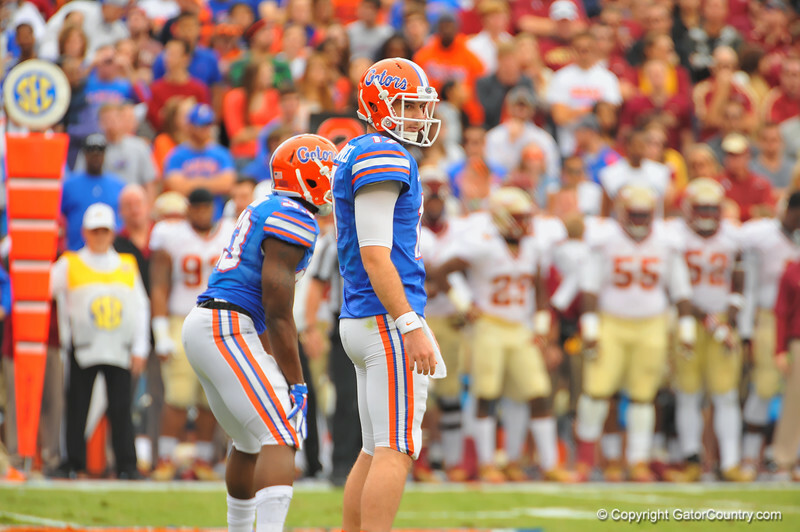 Florida quarterback Skyler Mornhinweg prepares to snap the ball in the first half. Florida Gators vs Florida State Seminoles. Gainesville, FL. November 30, 2013.